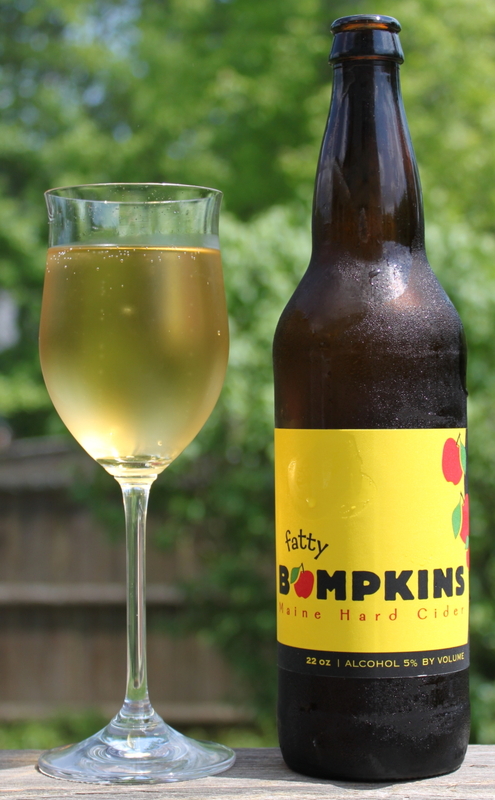 A Fatty Bumpkin is a cider offering from one of Maine’s Wineries, Blacksmiths. Listed at 5.0% ABV, this is a bit lower in alcohol then many ciders, which tend to come in around 6-7% naturally. I am not sure why this is lower, but that is not necessarily a bad thing. I had a chance to sample their product on draft a few weeks ago. However, they also bottle their product, and my wife wanted to try it (she very much enjoys a good cider, having been introduced to it in the UK) so we picked up a bottle for dinner a few days ago.